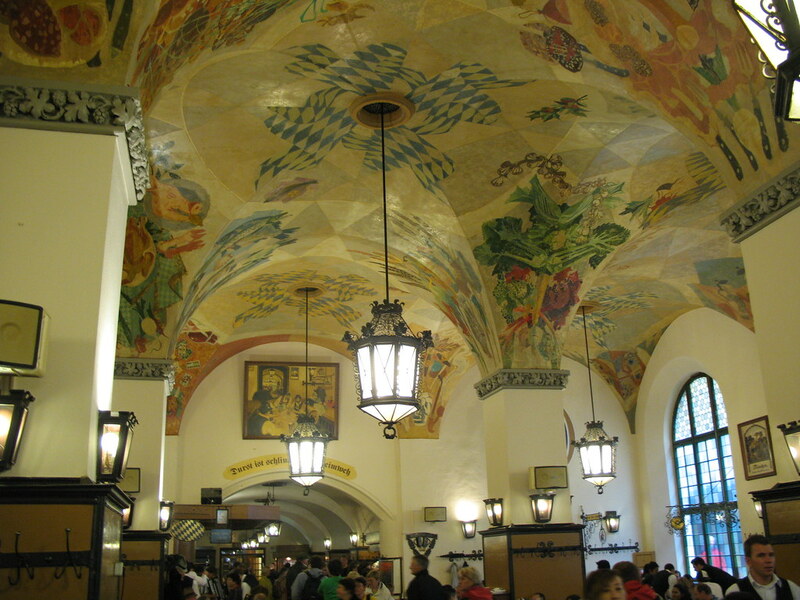 A trip to Munich is not complete until you've visited the most famous beer hall in the world - The Hofbräuhaus. 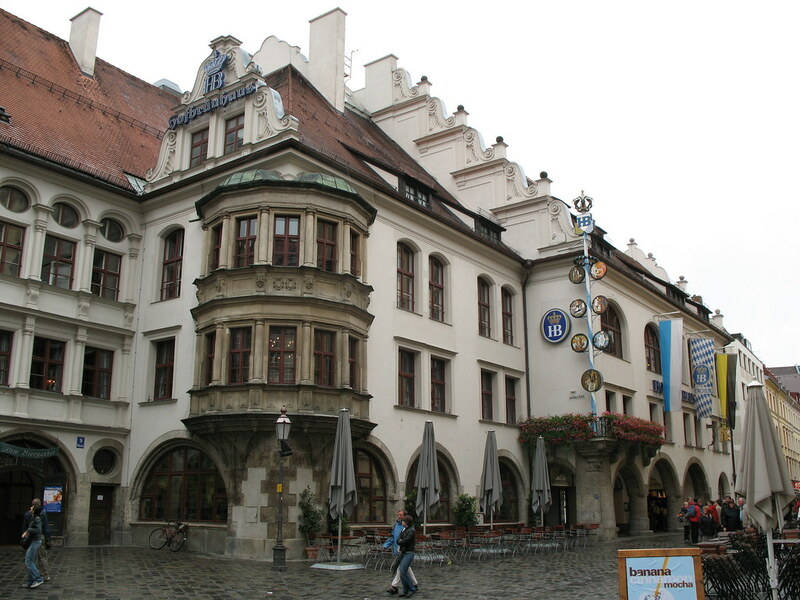 Founded in 1589 by Wilhelm the 5th, Duke of Bavaria, the Hofbräuhaus has been serving its brew for over 400 years. The beer hall is also infamous as being the place of many Nazi meetings, and some of Hilter's most influential and notable speeches. The beer hall is always full of tourists, but that doesn't mean that it doesn't offer an authentic Bavarian experience. The food is reasonably priced, and even local Müncheners visit regularly, many with their own reserved tables that they have been sitting at for years. It is very unlikely during busy times to get a whole table/bench to yourself. This is no problem though, as it's quite acceptable to find one with enough space for your party and ask the others already sitting if you can occupy the free space. The Hofbräuhaus delivers a little taste of the Oktoberfest all year around. 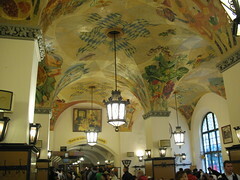 Indeed, during the Oktoberfest, the top floor of the restaurant, a large hall, is often open to reservations. This offers the Oktoberfest atmosphere at half the exorbitant cost that is charged at the festival itself. In the inner courtyard there is a small beer garden nestled under 400 year old Chestnut trees. Si te gusta la cerveza este es su templo. QuÃ© ambientazo!! Pasas un rato fenomenal y la cerveza estÃ¡ rica rica. 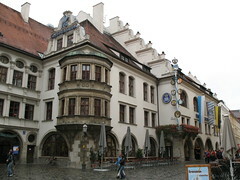 Have you already visited the Hofbräuhaus? If so, let everyone know what you thought about it by writing a review! No registration necessary. Just click here to start writing!